Shaiha's Ramblings: National Doughnut Day! 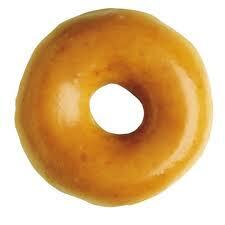 Today is National Doughnut Day and to celebrate Krispy Kreme is giving away one free doughnut to every customer. And you can choose everything they offer. I am thinking about going and getting me one when I get off work tonight. Are you going to grab yourself one?